A resort built on cotton has a soft spot for families, neighbors and loyal employees. I strode across the hardwood floors at The Wigwam Resort, the heels of my cowboy boots making that unmistakable click, click, click, as I headed for the Fireplace Room. A family was there: a teenage boy tapping away on his Mac, dad stretched out on the couch, mom playing Scrabble with a couple of pre-teen daughters. “Hey, I like those boots,” said a silver-haired man in a pressed, button-down shirt. I thanked him and extended my hand in introduction. His name was Jim, and he was enjoying a bit of solitude in the Fireplace Room, surveying the black-and-white photos on the wall in the hope of spotting his father in one of them. Jim has lived in the area for 60 years. He told me he had spent the previous December weekend at the resort, marrying off his son. He laughed and said he just had one daughter to go, matrimonially speaking. He was confident he would find his dad in a photo—and he was equally confident that I would enjoy my visit. Jim’s right. Arizona’s oldest resort has nailed the Southwestern thing. There are vigas, Navajo-style rugs, Indian artifacts and wrought-iron accents, all complemented by a warm-desert color palette. The resort is homey and inviting. And Jim’s not the only one searching for relatives captured in the many vintage pictures that line The Wigwam’s walls. Generations of folks have worked here and been married here. They’ve celebrated baptisms, engagements, anniversaries and retirements—even funerals. Many adult guests bring old photos depicting themselves as children, and then restage them with their family. Lots of guests come to the Wigwam every year and request the same room. To wit, the resort is collecting wedding pictures to create a community history wall. The lawn games may have changed (bocce ball has replaced shuffleboard), but the campus-style, casita property has always been a very social place—a place where personal history is made among neighbors. Until his death last year, a historian had been on staff at the resort for 43 years. Many of the Wigwam’s 350 employees have worked there a decade or more, something almost unheard of in the hotel business. 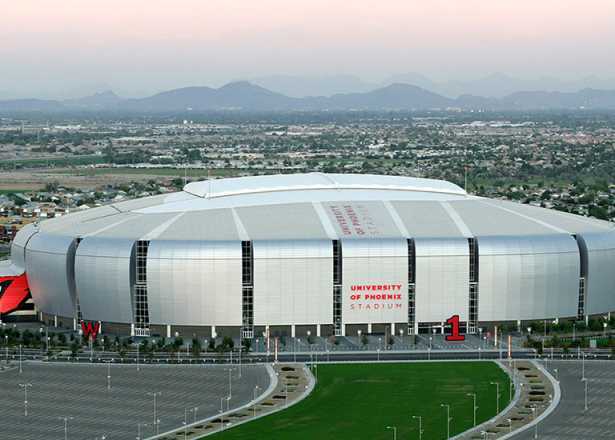 Located about a half hour’s drive west from downtown, the Wigwam is the closet resort to the University of Phoenix Stadium, site of the 2015 Super Bowl. The entire property is allocated to the NFL during the week of the game. The approach to the Wigwam evokes Beverly Hills, with towering palm trees rising from the median and flanking the roadside. The resort is possessed of a distinct sense of place. It’s almost a throwback, a place where talking loudly on a cell phone would be gauche, as would wearing a thong bikini in the pool. 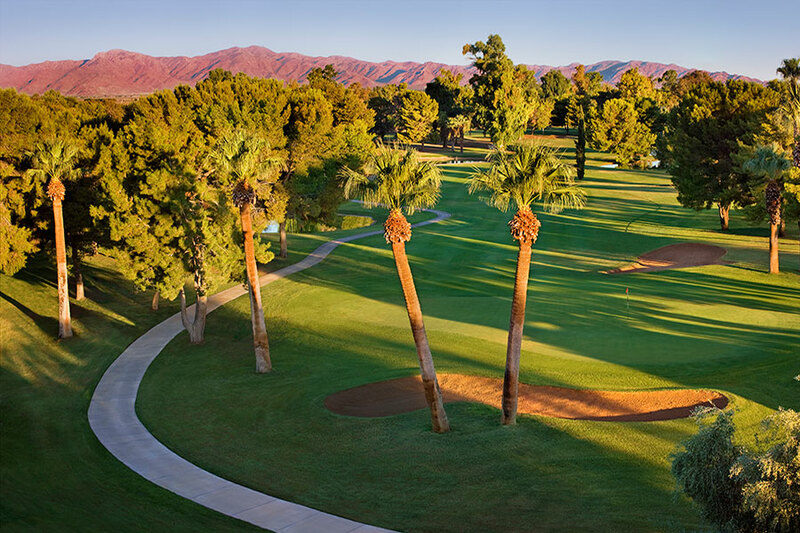 The Wigwam has all the expected amenities: swimming pools, 54 holes of golf, a spa and a fine-dining restaurant spread across beautifully manicured grounds studded with orange trees and rose bushes. The scale is human and walkable, though, if you want a ride to your room, a golf cart is available. And though it’s hosted a wide range of celebrities—including Maya Angelou, Daniel Day Lewis, Casey Kasem, Donald Trump, Paul Newman, President George W. Bush and Alyssa Milano—the Wigwam is really the center of local life, and has been for 85 years. The roots of the Wigwam can be traced to Arizona’s reign as a cotton producer. Dayton, Ohio-based Goodyear Tire & Rubber Company was looking for suitable climate in which to farm long-staple cotton for use in tires. Supply had been limited to the Sea Islands of Georgia and Egypt, but the boll weevil and World War I threatened those sources. In 1916, Goodyear executive Paul Litchfield was sent to Arizona by the U.S. Department of Agriculture. He found his land—40,000 acres of it—and the rest is history. In 1918, the Wigwam’s first permanent building opened; it was a day’s stagecoach ride from Phoenix. On Thanksgiving Day in 1929, the resort welcomed the public; 24 guests received a horse and a room key upon check-in. The Wigwam slowly grew from one building to 440 acres. By the 1940s, guest rooms had expanded and were leased to nearby Luke Air Force Base personnel. After the war, the Wigwam was featured in an Oldsmobile ad and the pages of Life and the Saturday Evening Post. In 1987, Goodyear sold the Wigwam, and its ownership changed hands over the next two decades. As many grand properties do, it fell from its storied heights. 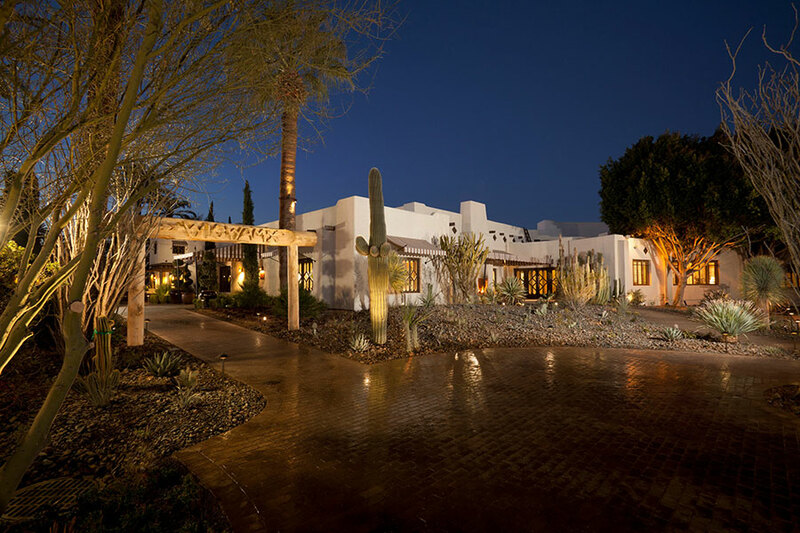 During the crash of 2008, businessman Jerry Colangelo, former owner of the Phoenix Suns, purchased the bankrupt property and restored it to its legendary glory, investing millions in historically sensitive renovations. It’s said that Colangelo was approached in an airport by a woman who overhead his conversation about the Wigwam. She told him in no uncertain terms that he couldn’t touch the doors, which had been designed to match the original tread on Goodyear tires. Colangelo heard—and heeded–her demands. Turns out he wasn’t the only one invested in the property. That pride is evident today, apparent among both staff and locals, who treat the Wigwam as an extension of their own homes. These days, the Wigwam, which is designated as a Historic Hotel of America, hosts a variety of events on its front lawn, including a weekly farmer’s market, a concert series, wine and beer festivals, and an Easter egg roll. The recent holiday train ride drew more than 600 people. While the Wigwam may vie for the title of the Phoenix area’s most popular resort—a hotly contested topic—one thing’s clear: it continues to create memories for generations of residents and visitors. 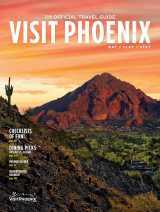 Get the scoop on where to go, what to do, and can't-miss eats in Greater Phoenix's west communities. 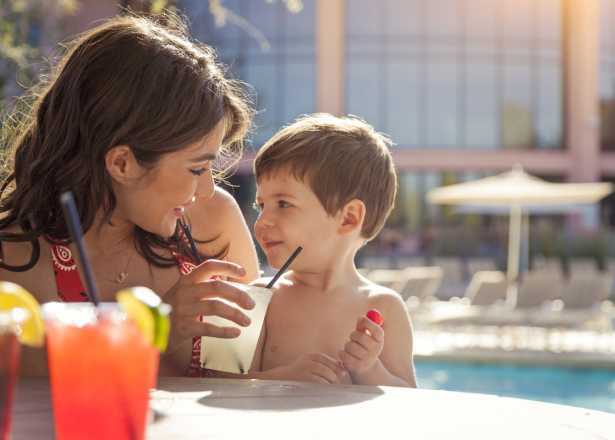 Secluded, swanky, kid-friendly and more: Find a fabulous Phoenix resort pool that suits your style.